What is Shamanism? - Awesome Mind Secrets!Awesome Mind Secrets! Shamanism is a practice that has been evolving and growing for thousands of years. It’s the oldest form of human spiritual practice. The Australian Aborigines shamanic practices go back ten’s of thousands of years, some estimates say 100,000 years. It involves a practitioner who reaches altered states of consciousness, and in turn, interacts with the spiritual dimension (or non-local Universe) when doing their work. Shamans, then, are regarded as human beings who can talk and interact with both positive and negative energies, and enter altered states of consciousness through trances or rituals that bring healing to people in the world, and other practices related to divination. The term ‘Shamanism’ was first applied to Turks and Mongols, two ancient religions in the middle and Far East that practiced this trance-like state and felt that they could talk to the dead and those spirits in another world. In fact, the word Shaman came into being in a North Asian language that is now defunct, but existed as a way to describe the works of these Turkish and Mongol shamans who sought to enter the after-life and other worlds. Many times, shamans function as a way to talk to long-dead ancestors and other relatives and former kings and royalty about problems in the current world today. These shamans come back with information about healing and other medical issues, as well as ideas and issues about what to do for the community as a whole to heal, improve, and move forward with whatever problem they are facing. Shamans are particularly valuable for these communities in times of stress, as they work to find solutions from the after-world and improve their current communities by finding solutions decreed by long-deceased elders and members of the nobility. Shamanism is increasingly popular and used in developing countries, as well as countries who have voodoo and other exotic practices as part of their religious culture. While it is not used as much in, say, the United Kingdom or United States, shamanism still nevertheless manages to be a very important international spiritual practice that is used and enjoyed by millions of people around the world. What I particularly like about shamanism is that there are no religious dogma. You can learn from all cultures and incorporate the various understandings and practices into your own. 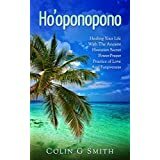 I’ve included a useful shamanic practice below that became more well known through the Hawian Huna system. Apparently seers throughout the ages have been able to see energetic cords that connect from a person or being into other beings and objects. In Huna they call these Aka cords. Think about the thing or person you feel overly attached to. Imagine your hands have spinning blades and now physically act out cutting all those Aka cords that need to be cut free. Take some deep breaths and relax. This entry was posted in Happiness, Relationships, Shamanism, Uncategorized and tagged aka cords, huna, shaman, shamanic, shamanism. Bookmark the permalink. I will be ever grateful to you.Regards. you must cut your attachment to the fruits of your action.enjoy the process of work as reward itself and dedicate the fruits to the lord and then you will considerably increase the chances of getting the fruits.karmaye vadhikaraste ma phaleshu kadachan ma karmaphala hetur bhur ma te tsabga tattvikarna.lord krsna in holy Geeta Ch. 2 Verse 47.hare krsna!!! “If you don’t gosub a program loop, you’ll never get a subroutine.” Kryten, “Red Dwarf.” I.e. Nothing ventured, nothing gained. Really, some attempts are supposed to fizzle. If you can accept that, you’ll be able to achieve a lot more than you need to. Maybe not more than you *think* you need, but more than enough nevertheless. For an energy healer to know how cut and teach a client how to cut energetic cords from another person to them and vice versa is crucial for healing. Sometimes this has to be done on a daily basis if the other person has a strong tie or the relationship has been established for some time.